In April 2018, the nurses went on strike, 16,000 nurses got fired and then reinstated. In January 2019 Doctors strike ends and start to resume work with some of their demands acknowledged. The doctors had several demands ranging from their welfare to their occupational safety. What I would like to focus on is access to drugs. 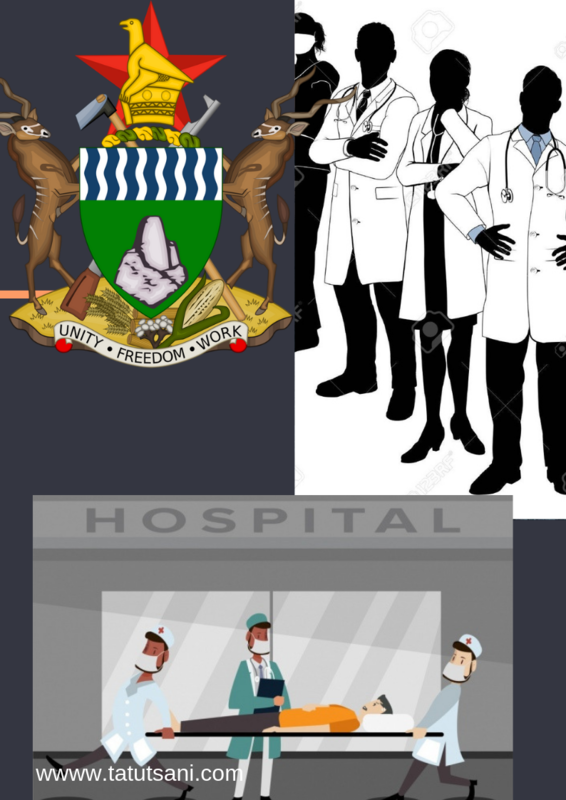 Reviewing the Zimbabwe Hospital Doctors’ Association (ZHDA) on the plight of junior doctors in Zimbabwe and the state hospitals, it is in sync with a patients’ experiences at a state run hospital in November 2018. If indeed the drugs and protective clothing are there, our members have made it clear that these should be seen at hospitals,” read the statement. This comes against a background of several promises of medicines and equipment made by the ministry since January this year, with none being fulfilled. I had to buy my own anesthetic prior to surgery. Because it had not been communicated to me earlier, my surgery was delayed because I had not bought the surgical gloves and required fluids. A nurse with my handbag had to go buy the necessary fluids but failed to locate the surgical gloves at the pharmacies at the hospital. No idea where they got the gloves to perform the surgery eventually. In addition to the fixed costs one has to pay for surgery, consultation, blood tests and drugs. The patient has to incur the government shortfalls. While the government insists drugs are well stocked up -what has to be done to make them available as needed? it is applicable to the health system itself. Priorities in allocating funds to the health sector the 2019 national budget allocated about $42 a person to the health sector. It is still below the 15% national budget allocation to health sector under the Abuja Declaration. With the shortages in drugs and protective clothing, this is not enough to cover the surgical gloves, the injection and all the other costs a patient has to meet on behalf of state hospitals. This is in addition to the costs patients have to meet depending on services rendered. ﻿Planning, as suggested by the ZHDA involves, setting targets and timelines with regards to access to relevant drugs. Acquiring resources in this case, would be to get sufficient drugs required as per targets and timelines set. In addition, to the drugs, catering for other factors that contribute to the health system, remuneration for health service providers, rehabilitation and occupational health and safety in the hospitals, just to name a few. Skilled labor is then acquired after the resources have been sourced, not the other way round. Finally Implementation of a well thought out system. I applaud the recognition of taking a holistic approach in achieving the goals set in the 2019 national budget in the health sector. Decision making processes should involve all relevant partners for a more informed planning process. In conclusion- currently, the citizens are the ones that suffer from the government shortfalls in the health system, while the sick cannot be treated in a timely manner when the doctors are not available or without adequate equipment.